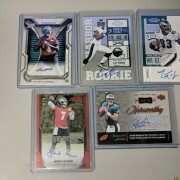 Haven't been on for a while but wanted to see what Eagles Autos might be out there. Thanks. 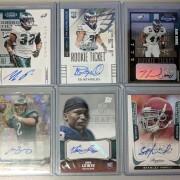 Collecting Brian Dawkins, Chuck Bednarik, or any Philadelphia Eagle. 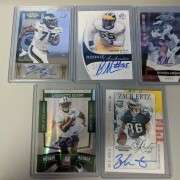 Penn State Autos and Linemen Autos. Please bear with me in typos and bad punctuation. I have fat fingers and a small phone to work with. 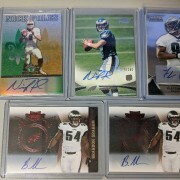 I would like to see the Alshons too and i wish I had the money for the Wentz but i cant front that right now. Thanks. Gonna pass for now but thanks. Thanks for the offer but I will pass for now. 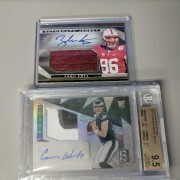 Alright before I throw a price out for the cards you said you were interested in prior. 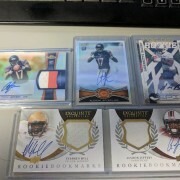 Here are the Alshons I have, also another Blount I found in my auto box. Let me know if you want a price on any of those and then I'll PM you a price on the entire lot. 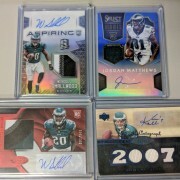 Throw in the chrome alshon and let me know what you come up with. 2017 Select Fletcher Cox, tie-dye die cut, #/10. LMK if interested.